Please join us Thursday, July 26th, for the D26 Democrats July Social! 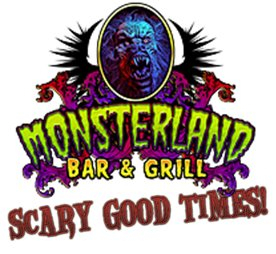 This month we will be having a "scary good time" at Monsterland Bar & Grill (more info) in downtown Mesa! Come enjoy happy hour prices until 6pm, and after the social there is a trivia contest starting at 7pm! RSVP: To D26Dems@gmail.com, on Facebook, or on our website!